Heartworm Disease – Are Your Facts Correct? 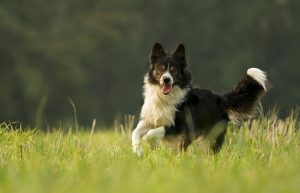 When it comes to heartworm disease, do you have your facts correct? We have created a quiz to help you learn whether you have all the important stuff down. Once you answer the questions, scroll to the bottom to find out how you did! Heartworm is a disease for dogs – cats do not get heartworm disease. Heartworm prevention is only effective against certain immature stages of the heartworm lifecycle. My dog/cat stays inside all the time, so I do not need to worry about heartworm prevention. Mosquitoes are only out when it is warm, so I can skip giving heartworm prevention during the winter months. I am forgetful, so my pets just gets their heartworm medication when I think about it. Usually I have just a missed a dose or two, but that’s not a big deal. My dog vomited after I gave him the heartworm pill, but he should still be protected. My pet has never missed an accurate dose of heartworm prevention. If my dog or cat gets heartworm disease, I can just have it treated. That will be easier than remembering to give prevention. The cost of preventing heartworm disease is less than the cost of treating / managing a heartworm infection. Heartworm is a disease for dogs – cats do not get heartworm disease. False! 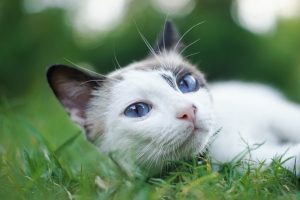 Studies have shown that cats can be infected with heartworms nearly as often as dogs! Heartworm disease is transmitted by mosquitoes. True! The mosquito feeds on the blood of an infected dog where it ingests the heartworm microfilaria. Then, the microfilaria goes through several stages of development in the mosquito (L1 to L2 to L3). The L3 is the infective form. When the mosquito feeds on another dog or cat, it passes the L3 larva to that pet, infecting the pet with the heartworm larva. Heartworm prevention is only effective against certain immature stages of the heartworm lifecycle. True! The heartworm lifecycle is just that – a cycle. Heartworm preventive medications are only effective at certain stages of the life cycle. Once the mosquito infects a dog or cat with L3 larvae, the L3 larvae will take 3 to 4 days to develop into the L4 larvae. Heartworm prevention can work in the L3 and L4 stages, but as the L4 starts to change to the developing adult stage, the prevention is not effective. My dog/cat stays inside all the time, so I do not need to worry about heartworm prevention. False! Have you ever found a mosquito in your home? We all know they are sneaky and find ways to get indoors. In fact, some mosquitoes may even find indoor areas to overwinter! Mosquitoes are only out when it’s warm, so I can skip giving heartworm prevention during the winter months. False! It’s really impossible to predict exactly when mosquito season will end and begin. Furthermore, if there happens to be a few warmer days during the winter, or if mosquitoes have found indoor areas to overwinter, they can still pose a risk. For a disease such as heartworm disease which can easily be prevented, why take the risk? And, don’t forget that most heartworm preventives are helping to protect against other things too (such as some intestinal parasites and fleas)! I am forgetful, so my pets just gets their heartworm medication when I think about it. Usually I have just a missed a dose or two, but that’s not a big deal. False! Since the heartworm preventive is only effective against L3 and L4 larvae, prevention given after the larvae have developed to later immature stages will not be effective. If you have a hard time remembering to dose your pet’s heartworm medication, there is help available. Many of the different companies that make heartworm medication offer email reminder services to pet owners. Or, you can set a reminder on your phone or put a sticker reminder on your calendar (they come in the box with the prevention)! My dog vomited after I gave him the heartworm pill, but he should still be protected. This could be true or false, it all depends on how sooner after dosing the vomiting occurred. If your pet vomits after receiving heartworm prevention, you should contact us so that our doctors can help decide whether the product should be re-dosed. If the vomiting happens regularly after dosing, you should also talk to us about whether a different product may be better for your pet. My pet has never missed an accurate dose of heartworm prevention. Even if you have never missed administering a dose (Way to go! ), your pet still could have missed receiving a full effective dose for any of the following reasons: (1) Has your pet gained weight? They could need a higher dose of prevention! (2) Your pet may have walked away and spit the pill out somewhere hidden. (3) Your pet could have vomited a few hours after dosing without you realizing it. (4) For topical products, if they were applied incorrectly or washed away before absorption, the dose would have been ineffective. Because of these reasons, we recommend all dogs be tested for heartworms annually, even if they have never missed a dose of heartworm prevention. If my dog or cat gets heartworm disease, I can just have it treated. That will be easier than remembering to give prevention. False! Heartworm disease can cause irreversible changes in pets, even while the heartworm goes through the development process. Furthermore, while a treatment is available for dog heartworm disease, there is no approved treatment for heartworm disease in cats. The treatment for heartworms in dogs is hard on the dog’s body, and it comes with risks. It’s simply better to avoid and prevent dogs and cats from ever developing heartworm disease! The cost of preventing heartworm disease is less than the cost of treating / managing a heartworm infection. True! So how did you do? Do you want to learn more about heartworm disease? Then visit the resources below for more helpful information. And don’t forget, April is National Heartworm Awareness Month – so share what you have learned with others!